The Valley was named one of Wall Street Journal’s Best Books of 2015 and Military Times listed it among their Top 5 in a year of strong work from authors like Jesse Goolsby, Eliot Ackerman, and Seth Folsom. Tom Ricks compared its author to Jane Austen. 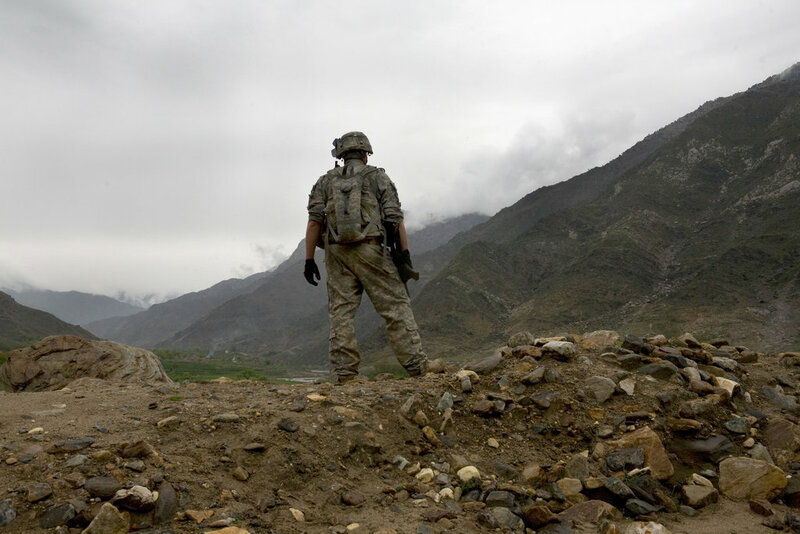 The book, by former U.S. Army officer John Renehan, is a thrilling crime novel set in a deep valley of Afghanistan’s remote Nuristan province. Renehan has written a debut effort worthy of comparison to domestic crime novelists George Pellecanos and Dennis Lehane. There are no deep national security questions asked or answered, but it is nonetheless an exciting read. The characters and the scenarios are certainly affected by the coherency of mission or lack thereof and Renehan has skillfully created a cast of immersive voices within the world of our last 15 years of war in Afghanistan that veterans will recognize and those who don’t read “war novels” will find intriguing. Editor's Note: Readers who prefer to avoid spoilers before reading the book should steer clear of the interview questions below the ***SPOILERS*** notation below. Marc Milligan: You were a practicing attorney in New York City on 9/11 and before joining the Army. Your background in law certainly provided a unique lens for you to view your experiences in Iraq and your research in Afghanistan. How do you think this impacted your own experience as compared to others? John Renehan: I’m not sure, really. I think the major impact was just the fact of having come from the urban professional world, being some years out of school (I was 32), to the Army world with all that entailed. That was a culture shock, one month working in an office tower in New York and the next sleeping on the ground with 18-year-olds who had never flown on an airplane before they flew to Basic Training; and after that working among peers several years or a decade my junior, whose life experience to that point was: college, Army. I know I brought different things to the table for better and worse, though I’d be hard put to articulate it beyond that. Mostly I forgot all about having been a lawyer, except when (a) being screamed at by drill sergeants who’d discovered my past, (b) seeing the work junior JAG officers did and being glad I hadn’t gone that route, (c) being occasionally called upon to help a soldier with some issue because one of my NCOs remembered “L.T. Renehan used to be a lawyer,” and (d) getting called on without warning to explain to a bunch of skeptical Iraqi police chiefs why it is counterproductive to beat confessions out of your suspects. Dark comedy right there. Were there specific themes that carried through into the story from your experiences as an artillery officer during your deployment to Ramadi during the Surge? The out-at-sea feeling of operating in the mixed “kinetic” and “hearts and minds” atmosphere: the sheikhs and chiefs and foot soldiers and patrolmen and politicians, the endless cups of tea and questionable meat-piles, the invisible young women, the endless cast of characters shady and otherwise, the warm and surreal presence of children in the midst of all this, the bizarre and ridiculous moments, the dark humor of the entire situation, the reaching for common humanity across the cultural chasm, and the constant sense that you will never understand all you need to understand to operate successfully—not because the people themselves are somehow mysterious or impenetrable, but because their world is not our world and there is only so much you are going to know about each other in the limited time-frame and highly constricted circumstances of your encounter. All of that I lifted whole hog and dumped into Afghanistan. Your attention to detail with respect to Danny’s (Afghan interpreter in the novel) qualities struck me as particularly correlative with my own—a loyalty on the part of the interpreters toward their U.S. unit despite simply working a job to provide a service. Plus, that frankness with their American counterparts/employers about their own hopes, dreams, and motives rang true to me. From your time in Iraq, can you tell us any more about your experience with interpreters? Did you know “Danny” or was a compilation of your experiences? When someone tells me I got the soldier/interpreter dynamic right it’s mostly a relief because my big fear in writing Danny the way I did was that readers would perceive some kind of derogatory Token Brown Sidekick portrayal in his broken English and general goofiness. But I wrote him as I knew him, or them. He was an amalgam of two or three linguists I knew, though I had a particularly close and lengthy relationship with one, and I drew on that relationship a lot. Like many Americans in Iraq and Afghanistan, I relied on him for more than just translation. In the way of things he became first a sort of cultural adviser and ultimately a true intelligence asset who saved lives, American and Iraqi. We were each “out there flapping” in our own way, living among people who in the right circumstances would hurt both of us, and we looked out for each other. Do you think writing a work of fiction around a controversial foreign policy subject has the power to help or affect the current dialogue? How might that impact manifest? Was that your intent at all? Sometimes as a Veteran-Author™ you feel that you’re expected to say some canned thing about how you felt obligated to write toward some overarching public purpose or some inner-directed working-out of your feelings about the war. I’m sure that’s often true, but that puts an awfully heavy burden on the author and on the fiction, and the paradox is that the harder you try to do fiction that influences public dialogue, the less likely your fiction is to be successful as fiction. Me, I take what I think is a fairly traditional view of fiction, that it is best suited to explore rather than to teach, or worse, to preach. I think it certainly can affect the dialogue, and I’m sure sometimes it does, and sometimes this can be constructive, but I think you need to be very careful about your purposes as an author here. For me, I’m most comfortable focusing solely on the war fiction writer’s chief job, which is to make uncommon human experience relatable. So The Valley is not a policy book or a “this is the moral of Afghanistan” book, or a statement on COIN or on the strategy we pursued there. I am not remotely qualified for that, other than in terms of the subjective experience of the individual servicemember. That’s where I put my focus, and when my characters talk and act it’s really just them talking, not me, and their various views may or may not coincide or overlap with my own, and I think that’s entirely normal and proper for fiction. At the end of the day most of us write for basically selfish reasons, and the ugly truth is that I set out to write The Valley because I had wanted to write fiction since I was a child and somehow this intense human experience gave me a frame that unlocked that and allowed me to put it all together. The only real obligation I felt at the time was to write something I wouldn’t be embarrassed for my former soldiers to see, that didn’t use servicemembers as wooden props or portray them as noble savages or confused innocents or malevolent predators, or fall into any of the other traps that so much fiction and film—even high-quality fiction and film—falls into, which is to present soldiers as fundamentally The Other. They may be a good Other or a bad Other or a funny Other or a ridiculous Other or a pitiable Other, but in modern American art the soldier most often stands in a position of basic strangeness relative to the reader or viewer. This may simply reflect the distance at which the military stands from broader society, may arise naturally from the limited connections many Americans have to the military today, but from the standpoint of fiction this is problematic. Fiction’s job above all else is empathy; it stands for the proposition that all human experience is relatable. So that’s where it started. And then as the story grew I discovered there were themes I wanted to work with, and those themes organized the story, but I would be lying if I said that this was the master plan from the beginning. I just wanted to write something for general readers that presented military people as I knew them, and I discovered that simply doing this in an honest and empathetic way is a tall enough order—and enough of a public service. And if that humanization is useful to people in thinking through issues of war and policy, then all the better. Your story, particularly in the example of the character Shannon, telling the story of the soldier ambushed and crucified in view of the COP, touched on the difficulty of exposing soldiers to scenarios like that or even losing comrades one day and having to go out the next and perform or supervise development projects—like in the book—or other “hearts and minds” type missions. Was it your intention to highlight this difficulty? Do you think there was more room to discuss this aspect of modern war or was The Valley not the place, considering the tone and genre? There’s something about the act of writing; you make little leaps and connections long before you’re aware of having done it. Tone did drive a lot of decisions in the story, though I didn’t understand why at the beginning. I didn’t know why I was so compelled by this idea of telling my war story in a mystery-procedural format until I realized that I saw Black’s investigation of the platoon, his meddling in this human situation that he understood poorly, as a metaphor for the platoon’s meddling (as it were) in The Valley. His being driven almost to madness by this need to understand and his failure to do so ran parallel to the soldiers’ varied responses to their poorly understood mission; his uncertainty as to where he owed his allegiances and trust matched their own uncertain and confused role as a part of the poorly understood ‘ecosystem’ of The Valley. So I worked with that metaphor, and the whole thing became an extended rumination on loneliness and disorientation and divided loyalties in the guise of a mystery story. In that sense, tone carried the theme—was the theme. Which felt right and appealed to me because it wasn’t a strictly military theme but a broadly human one that people could relate to regardless of their familiarity with war or the Army. Beyond that, I admit I was hesitant to go further into Afghanistan-specific or COIN-specific discussions. I was very keen not to write a book that felt like a “war novel,” in the sense that it deals primarily with issues specific to the military or to a particular war in a way that appeals chiefly to a readership interested in those issues. Once your reader feels they’re on that familiar ground I think you’ve lost them; your characters cease to be fully human to them. I wanted to keep readers off balance at all times, their expectations of military “types” confounded—the mystery element again—and keep my themes tied to broad human experience, not just war experience, or this war experience. One of the best parts of this whole experience has been having readers from outside the genre tell me they never thought they’d be able to relate to the characters in a “war book” (or a “man book,” as one blunt female reader put it). You’ve spoken of how Kipling’s “The Man Who Would Be King” and Tim O’Brien’s Going After Cacciato particularly influenced your writing. Did you take those books (or any others ) with you to war, and did they influence your outlook at the time? The truth is I hadn’t read Cacciato or any other war novel, new or old, since a War and Society seminar in college. (Still haven’t, I’m afraid.) At the time I was struck by how surreal, almost fantastical the narrative felt, and I wasn’t sure what he was trying to accomplish by going in that direction. Thinking back on it 20 years later and having been overseas I felt he hadn’t so much dabbled in the surreal as captured the way reality itself can sometimes feel in that situation, that only-in-a-war aspect of things. I don’t really think of myself as writing in the “war novel tradition,” if that is a thing with a name, but that particular feel is the thing I think I’ve taken most directly from past war literature, and I took comfort from my hazy memories of O’Brien at the points of The Valley where things are really out there a bit. As for the Kipling, I had never heard of “The Man Who Would Be King” until I’d chosen Nuristan for my story and then discovered that there was a rich Western literature about the place, including his novella, which gave me a real historical frame to hang the story on. It turns out when you write a book there is this cascade of serendipities like that, large and small. I keyed into the personal responsibility aspect of Black’s character and how it seemed to drive both his interactions with the soldiers he was tasked with investigating and his commitment to the investigation itself. Do you believe that there is something inherent about the training or experience of war that lends itself to building responsibility for others or to our nation? I think it’s all born of military necessity. I don't think I was fully prepared when I joined the Army for the depth and breadth of the extreme accountability culture—the constancy of it, the sense of never having done enough, of fault and blameworthiness, the unending struggle to be worthy of leadership. When I went off to Basic and O.C.S., I thought “this will be hard, but at least the war games might be fun.” And then you get there and realize that the fun never comes because the stresses are so much more than you realized when you’re actually the one responsible, and you operate under the constant cloud of potential failure and disaster and unworthiness, regardless of whether that failure is truly yours or that of someone above or beneath you. Each character is, in their own way, flawed. However, it also seems as if all but one character (Pistone) have a redeemable/relatable quality. The book’s characters, with perhaps one exception, do not neatly fit into the black and white paradigm of good and evil; each are driven by their own set of morals which the reader can contextually relate to. Was that intentional and will he appear again in later stories? You know, in retrospect I consider my portrayal of Pistone to be a partial failure for precisely that reason, that he doesn’t seem relatable or redeemable in the end. I hadn’t meant to go so far with him. He was the most inside-baseball character, really. He was meant to be a dark mirror held up to anyone who had ever been a junior officer, all of us college kids placed in the position of leading people whose respect we had not yet earned, people whose experiences and competencies and comfort in that world just dwarfed our own, at least for that moment. He was that little demon that we were all meant to recognize in ourselves: the junior officer’s temptation to do something that seems strong in order not to seem weak. We all experienced it, usually in some trivial context; Pistone takes it to his bizarre extreme. He’s sick, without doubt, but he’s not a psychopath or violent sociopath. As Black puts it, that would be too easy on him. He’s an individual who may never have broken a rule in his life—or maybe he did—and who probably will live an utterly law-abiding and responsible life after the Army. He doesn’t disembowel squirrels in his shack. But his feeling of weakness and isolation, his dependence on the Army as a vehicle to prove his own not-weakness, is compounded by the intensity of the situation and the always-dangerous sense that this remote valley in Nuristan is not the real world, that it is fundamentally someplace different from that real world out there whose rules he follows. It all overwhelms him in that moment and he does something that he would never have done before and will never do again. None of which is meant to excuse his conduct or suggest that “in war it’s all relative, so who knows?” or anything like that. Same for Caine and the other major characters: the purpose of getting in their heads was to show the way this same sense of accountability to one’s soldiers can lead different people in different directions, good and bad. At the end of the day each one thinks it’s all his own damned fault, and each one is both right and wrong. As for Pistone, his motivations are selfish and his actions defensive, but he wasn’t meant to be a dehumanized character. I think I may have gone so far in making him creepy and sinister through Black’s eyes that I lost that damaged humanity, that craving inside him. He may appear again—I know how I would use him if I could pull it off without it seeming contrived—and if he does I’ll try to do better. What led you to enter and leave the Army? Entering: standard citizen-service motivations. We’re not a military family by any means but members of my family have served in the past when there is a need, and with the big Army expansion in 2004 there was a definite need. Leaving: I wanted the possibility of a normal family life, and I knew going in that I was a bit long in the tooth to be making a career out of it. I’d gotten through a lot of training in my 30s without getting seriously hurt or breaking down, and I’d gotten to do the only Army job I’d ever wanted to do, which was a junior officer taking care of soldiers. It was time to count blessings and move on with life again. Were you writing before, during, or after your time, and if not after, how did it serve a purpose for you at that time? What about now? Before the Army I wrote long-form essays on whatever struck me and utterly failed to get any of them published. While I was in I started dabbling in op-eds, mostly about the transition from civilian to military life. Afterwards I had a couple of magazine pieces published, reflections and lessons-learned from my platoon’s time working closely with Iraqis in Iraq. Then I spent years very slowly cobbling together a book-length memoir or travelogue of that time, which never got published but taught me to tell a story properly. That exercise—turning a finite pile of nonfiction vignettes into a compelling story that remains fully bound by the truth—was invaluable training for writing fiction, really. After that, doing fiction felt like freedom. 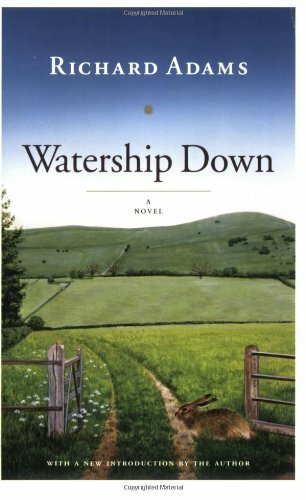 I recently re-read Watership Down because I have reading children now. It is so much more impressive than you are able to appreciate as a child—the brilliant invented folktales, the wide-ranging allegory, the completeness and originality of the universe he created. And I’m just finishing Tim Johnston’s Descent, which is a “literary thriller” about the abduction of a teenage girl in the Rocky Mountains and how that event cascades through each member of her family in her absence, especially her brother and father, who are wracked by their obsession with finding her. I admire works that try to do two things (surprise), which I think used to be more common in the past, before the definition, style, and purposes of “literary” fiction became more self-conscious and self-referential and less oriented toward the commonality of human experience (and more disdainful of good storytelling). I really appreciate how Johnston marries plot with human fallout and compromises neither. This discussion of The Valley continues in a review of the novel here. Marc Milligan is a U.S. Air Force officer and pilot. He holds an MSIR and has deployed in support of Operation Enduring Freedom, Operation Iraqi Freedom, and multiple worldwide deployments as a combat aviation advisor and mission commander. The views expressed in this article are those of the author and do not reflect the official policy or position of the U.S. Air Force, the Department of Defense, or the U.S. Government.